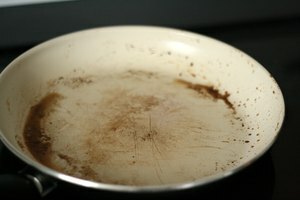 Non-stick cooking sprays contain soy lecithin, which can create a sticky residue on pans when you're done cooking. 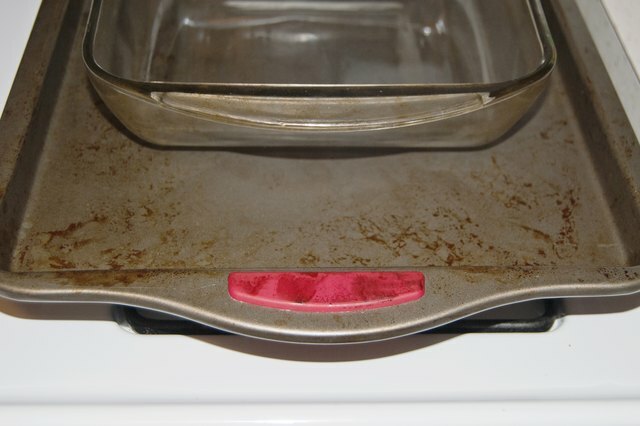 The best way to remove the residue depends on the type of pan. 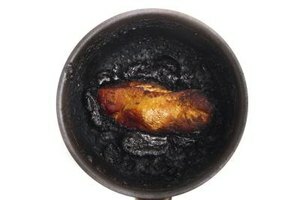 Some cookware manufacturers advise keeping the cooking spray in the cupboard to begin with. 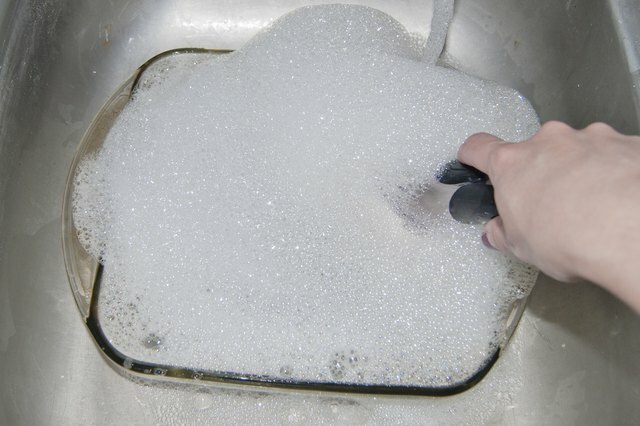 Wash the pan in a sink with warm water and mild dish detergent, making sure that all food particles are removed. 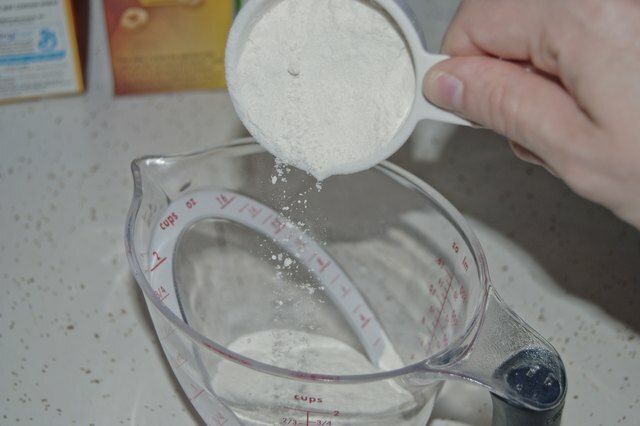 Mix equal parts of baking soda and water to create a paste. 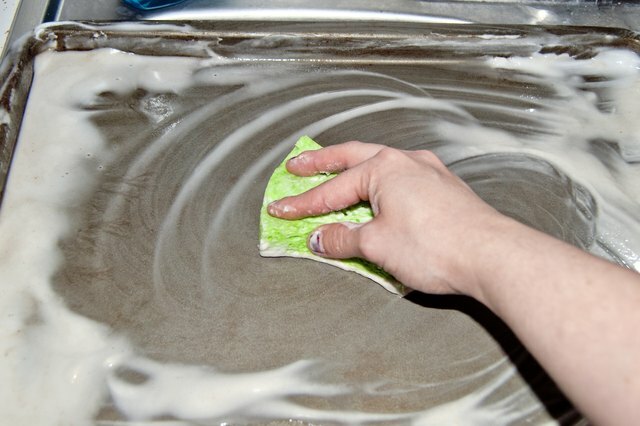 Apply the baking soda paste to the residue on the pan and scrub with a non-abrasive sponge or brush. Rinse well with warm water and dry the pan with a soft towel. Allow the pan to cool completely. 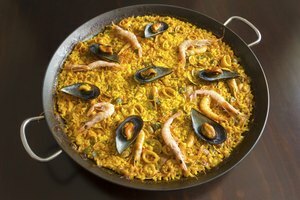 Wash the glass pan or casserole dish in the sink with warm water and a mild dish detergent to remove any food particles. Mix equal parts of water and vinegar, and pour the mixture into the glass or stoneware pan. Let it soak for 10 minutes. Without emptying the vinegar and water mixture, scrub the cooking spray residue with a soft sponge or brush. Rinse the pan with clear, cool water and dry the pan with a soft towel. 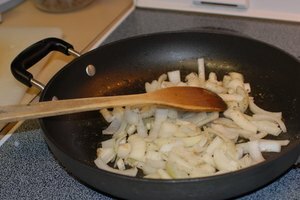 Make a natural cooking spray by filling a misting spray bottle with your favorite oil, such as vegetable or olive oil. Use this in place of commercial cooking spray. Use parchment paper to reduce residue cleanup after cooking. Line a pan with parchment paper, then spray the surface of the paper with cooking spray. 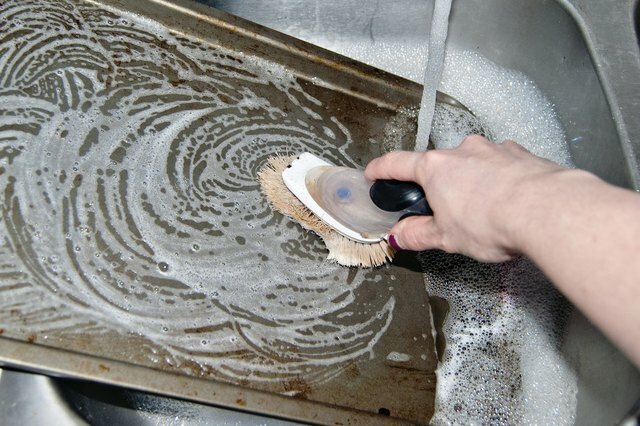 On pans with heavy layers of built-on cooking spray, repeat the cleaning methods a few times to restore the pan’s surface. Do not use steel wool or harsh scrubbing brushes to remove cooking spray residue. 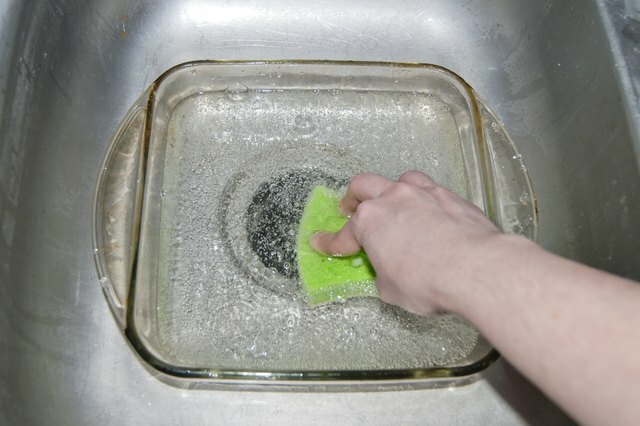 These tools can damage pans and make future cleaning even more difficult. This is especially true with non-stick pans.